Beth Israel will mark the anniversary at its Aug. 28 Shabbat service. The first part of the service will be held at the congregation’s former location, the corner of Camellia Street and Southern Avenue in Biloxi, at 7 p.m., then proceed to the new location in Gulfport for the rest of the service and a special Oneg. Storm surge from Katrina flattened structures along the Mississippi coast, often leaving just a concrete slab. Beth Israel was two blocks from the beach, and while the building still stood, much of the brick façade was peeled away and water that flooded in made the building a moldy, unusable mess. One month later, Rosh Hashanah services were held at Keesler Air Force Base, the first services since the storm. The congregation met at Beauvoir United Methodist Church until a new building — several miles inland in Gulfport — was completed in April 2009. 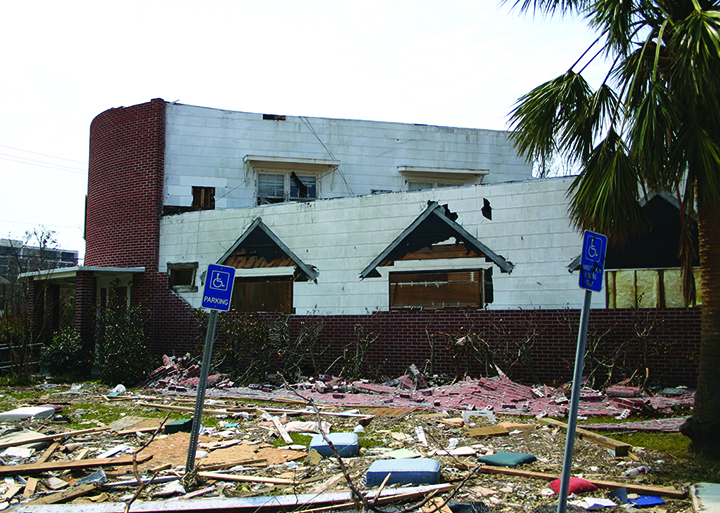 Kessie said the congregation, Mississippi’s only Conservative congregation, had about 65 members before Katrina. At the time of the dedication, there were about 45 members, currently about 50 families are members.